In the pre-indicative phase, our objective was to build an initial view of the attractiveness of the target company. 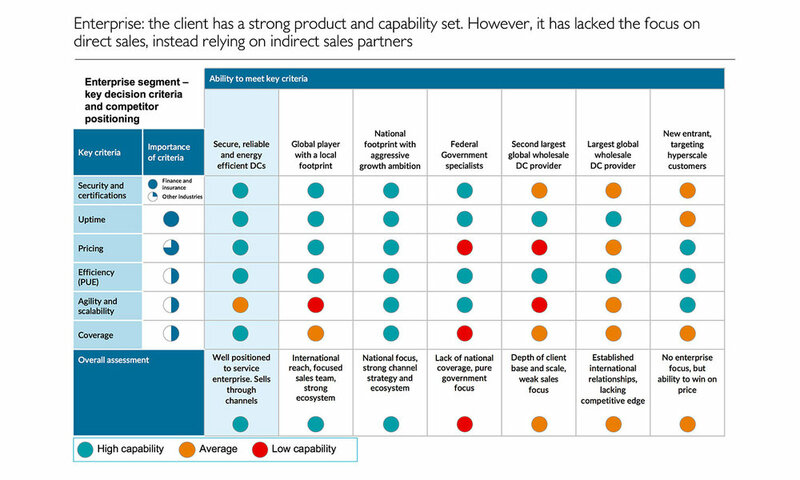 In the full commercial DD, we evaluated the forward looking business plan of the target company. Market model: we built a long-term (10+ years) model of the Australian data centre market in terms of demand, supply and revenue. Operational and strategic model: we built a model of the target company by individual site, geography and customer contract. Competitive analysis: we developed a detailed framework assessing the competitive positioning of data centre operators in the Australian market. 100 day strategic plan: we developed a strategic plan for our client in the event of a successful acquisition.